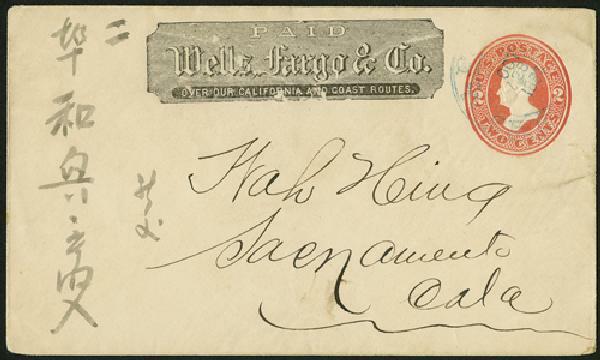 Item #MA1553 – Wells Fargo cover from the Transcontinental Railroad era. The use of envelopes increased after 1845 when postage was based on weight and distance alone and the number of sheets was no longer considered. However, around this time, private express companies also grew in popularity. The Post Office wanted a way to gain revenue from that mail, so they pushed for the Postal Act of August 31, 1852. 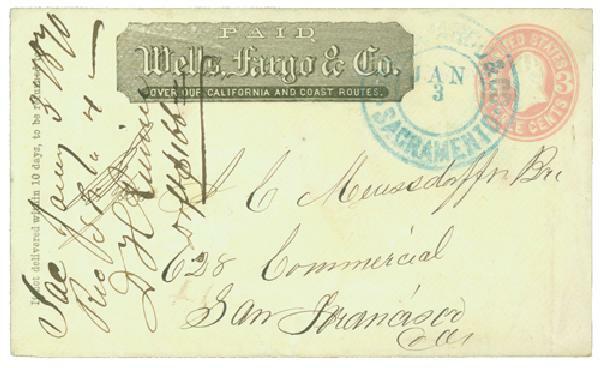 This act allowed for letters to be “sent, conveyed and delivered otherwise than by post or mail,” as long as the postage was paid by the use of stamped envelopes. 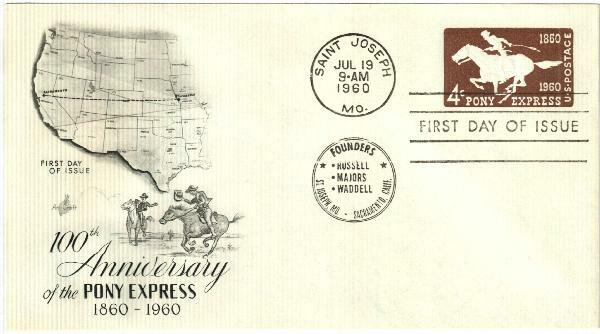 U.S. #U543 – 1960 Pony Express stamped cover. The act also stated that the envelopes “shall be duly sealed, or otherwise firmly and securely closed, so that such letter cannot be taken therefrom without tearing or destroying such envelope.” This was included to make sure that envelopes couldn’t be reused. U.S. #U550 – 1965 eagle stamped cover. Private mail companies obliged and bought the envelopes and then had their own frank printed on them to be resold to their customers. The most well known of these are covers from Wells Fargo & Co.
U.S. #U617 – 1989 Space Station hologram stamped envelope with silk cachet. The first envelopes produced for this purpose were issued on July 1, 1853. The stamp printed on the envelope was based on the British Victoria envelope, with a bust in an oval and the denomination below it. To combat counterfeits, these envelopes were printed on watermarked paper and the stamps were embossed. U.S. #U218 – Bicentennial stamped envelope. 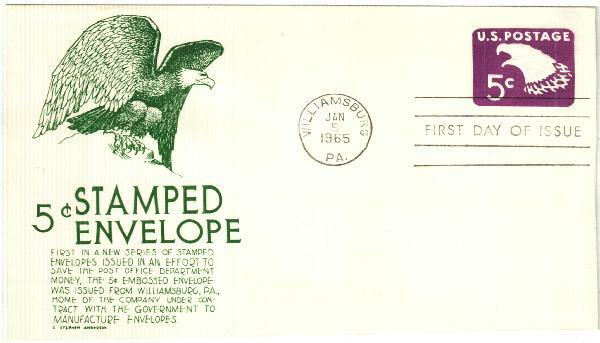 Much like U.S. stamps, most early stamped envelopes pictured the busts of famous leaders. The first commemorative stamp envelope came in 1876 to mark the American Centennial. Though it would be about a century before the USPS began issuing commemorative stamped covers on a regular basis. 4 Responses to "This Day in History… August 31, 1852"
It costs the same when sent to same town or across the country. The distance don’t matter now. When was this established? I collected several hundred envelops over the years, but stopped as I grew out of space to save stamps, envelops, aerograms etc. I love to look and hold postage stamps and stationery, and learn history. Thank you for that interesting and little known fact. country. My husband would take them when he use to go for business and gave them as gifts.